Interactive Coventry (IC) specialises in cutting edge biologically inspired artificial intelligence algorithms, data mining, information retrieval and human behavior theories to provide our customers with a wide range of customised solutions to empower them with innovative technology and outstanding customer service. 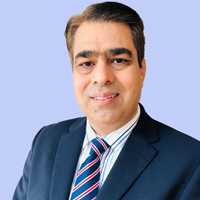 Dr Rahat Iqbal is a Reader/Associate Professor in the Faculty of Engineering, Environment and Computing at Coventry University with over 18 years of academic experience. He has a track record of project management and leadership of industrial projects funded by EPSRC, TSB, ERDF and local industries (e.g. Jaguar Land Rover Ltd, Trinity Expert Systems Ltd). He was involved in the project management and development of the EU FP7 project CHIL (Computers in Human Interaction Loop) at the Technical University of Eindhoven , Netherlands. Recently, he has successfully led a project in collaboration with Jaguar Land Rover on self-learning car for predicting driver’s behaviour for personalisation of telematics and optimisation of route planning. He has managed many industrial projects, in Intelligent Systems, Predictive Modelling, User Behaviour, Information Retrieval and Fault Detection. He has published more than 100 papers in peer-reviewed journals and reputable conferences and workshops. 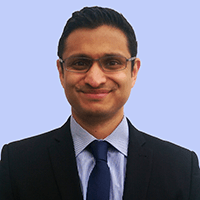 Dr Iqbal is on the programme committee of several international conferences and workshops. 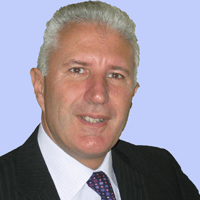 He is also a fellow of the UK Higher Education Academy (HEA). Dr Iqbal has also edited several special issues of international journals within the field of Information Retrieval and User Supportive systems. 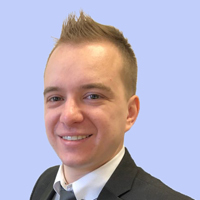 Dr Tomasz Maniak has over 14 years of commercial experience in applied research, machine learning, software development, IoT and automation. During that period he has successfully delivered and solved a number of challenging problems with the use of state of the art computational and machine learning techniques. His wide expertise ranges from programming embedded systems, IoT, process automation to state of the art artificial intelligence based systems. He graduated with a PhD in Computer Science and Machine Learning from Coventry University. Dr Maniak has published a number of papers in peer reviewed international journals, and participated in high impact conferences and workshops. Dr Faiyaz Doctor is a Lecturer in the School of Computer Science and Electronic Engineering at the University of Essex and leads the Intelligent Connected Societies Group. For over 15 years, he has worked in industry and academia to develop novel Computational Intelligence solutions addressing real world problems related to smart environments, Energy Optimisation, Predictive Analytics and Collaborative Decision Support, resulting in high profile innovation awards and an international patent. He has led and co-led projects funded through the Newton Fund, Conacyt, Innovate UK and Harvard University in collaboration with industry, governmental organisations and academic partners. Dr Doctor has published over 60 papers in peer reviewed international journals, conferences and workshops. Dr Brian More is Director for Intellectual Property at Coventry University with responsibility for policy, protection, valuation and commercialisation of all forms of IP. He has had 25 years experience working with Intellectual Property, is an inventor on 6 patents and jointly owns 3 trademarks. He manages a portfolio of 20 patent families, trademarks, designs and copyright. He is passionate about education and training in the IP area and developed accredited courses for academic and industry use. He is a Director of 2 companies and sits on 3 national advisory panels. He has worked for private contractors on assessment of development proposals in the field of Nanotechnology and worked on EU Framework projects as commercialisation consultant. He has published 20 peer reviewed papers on research, innovation and entrepreneurship. 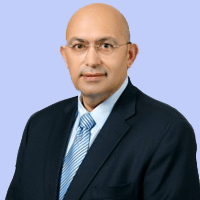 Dr Shahid Mahmud has more than 31 years of professional experience in the field of ICT. He has served on various federal committees of the Government of Pakistan addressing the formulation and implementation of the National Telecom and IT policies. Dr Mahmud is 2016 Distinguished Eisenhower Fellow. He is also a Senior Fellow for the Global Think Tank Network and Co Chair for ICT on the Corporate Advisory Council of the National University of Science and Technology. He is active in several philanthropic activities, working with youth-oriented and community service projects such as Buraq Planetary Society, TRUCE, Begum Mehmooda Welfare Trust and Zubaida Khaliq Memorial Free Hospital. 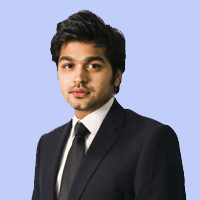 He has been the founder director and shareholder of several companies, including Paktel Limited, Indus Vision and Pak Globalstar Ltd. He has also served as a Director of Askari Bank for over six years. In recognition for having spent his entire career in promoting IT in Pakistan, Dr Mahmud was given the Lifetime Achievement Award at the 12th Teradata National IT Excellence Awards for 2014. Shayan Mahmud’s creative, yet enterprising views are a testament to the principles that Interactive values above all else. Having ties to China, England and Pakistan among others, gives him unique access to different world wide cultures, and ideals which he utilizes with relish both at work and outside. He has big dreams and he is paving his way towards them, one client at a time. Interactive Coventry (IC) provides solutions to reduce the complexity and cognitive burden on accessing and processing large volumes of data.